Enjoy this Spring and Summer in our brand new "HotTub"
Surrounded by the natural beauty of Haas Lake waterfront, Half Moon Paradise is conveniently situated within apprx. 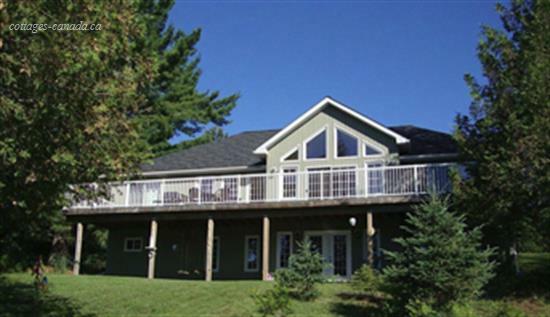 5 minutes distance from Haliburton Village, providing an excellent getaway for family, small groups, or couples! This gorgeous property is spread out over 2800 sq. ft. and comes equipped with heat during winter / air - conditioner during summer. 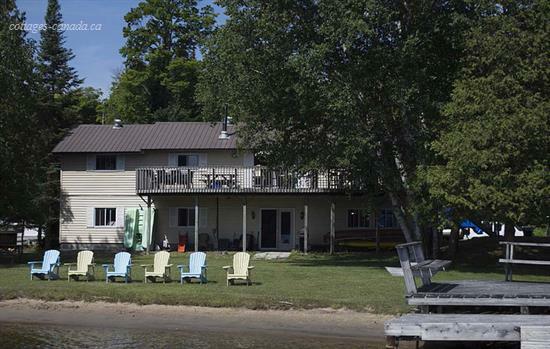 Newly renovated 2016, it boasts spacious life and modern design of 5 bedrooms, lake view dining room, cozy living room with extensive lake view walkout, and a retirement friendly level entry lot! Sitting perfectly at southern exposure with large deck and personal dock, beautiful sanded area, direct access to water, and brand new therapeutic Hot tub, Wonderful Paradise offers excellent spot at all year round to many! Either you are professionals that are into fishing, or photography enthusiasts or simply family and friends that are into nature relaxation, our breathtaking views, hot tub, and close proximity to village is ready to welcome you! Half Moon Paradise Cottage reserves the rights to make final adjustments on availability, rates and details without prior notice.